Our pets are some of our closest companions in life. 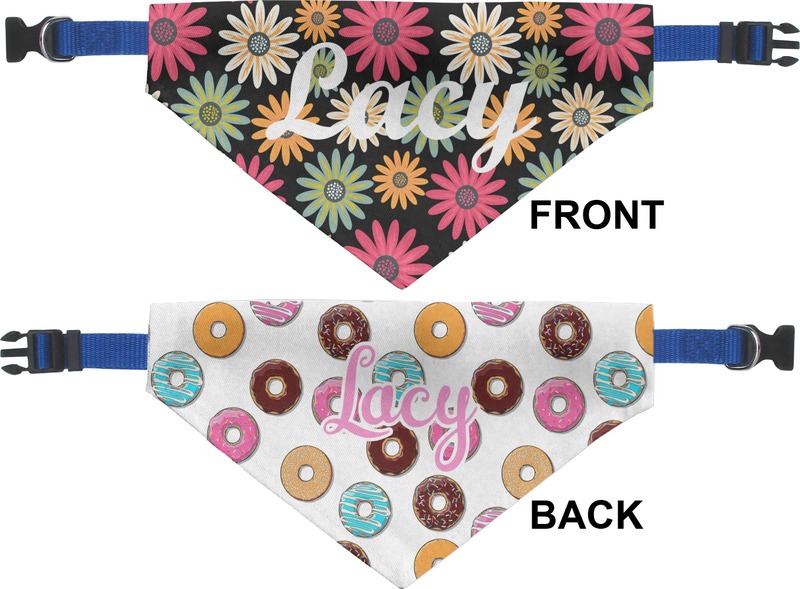 Spoil your dog with a personalized bandana! This will be sure to make all their friends jealous at doggy daycare. 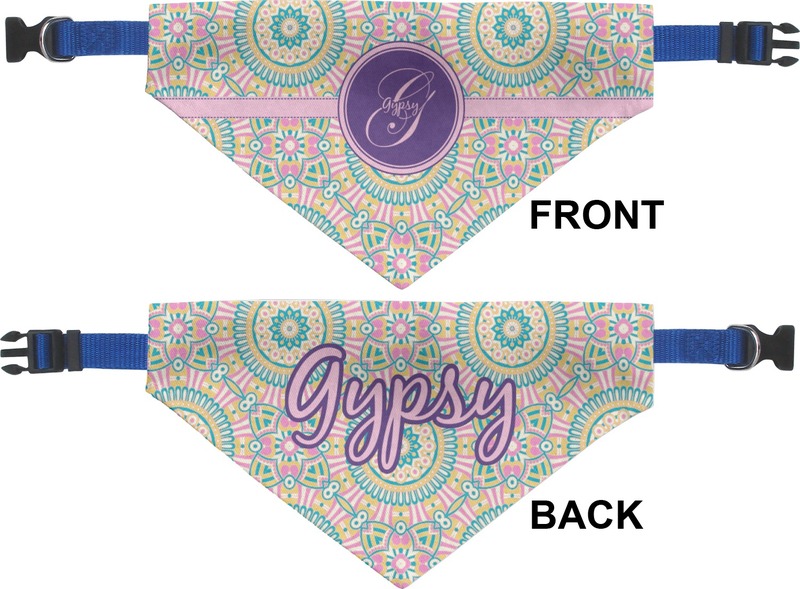 These fun bandanas are printed front and back with your very own personalized design. They come in 4 different sizes of small, medium, large, and extra large (see sizing chart pictures for more specific measurements). 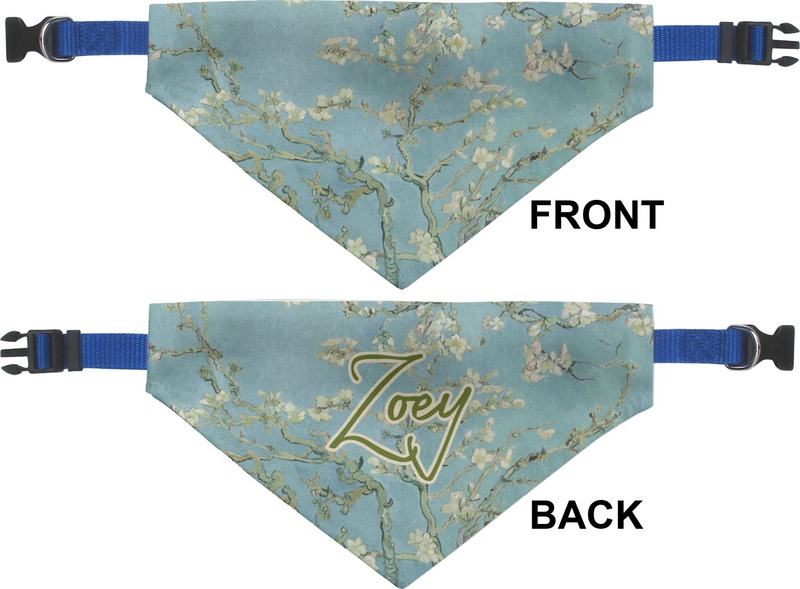 Each bandana comes with a simple blue canvas collar with plastic snaps that is easily slipped in and out. They are sewn with a gap large enough to easily attach to any collar. The bandana is made of a durable polyester that can be machine washed (but only with like colors!). With this bandana you can choose to completely different designs for either side! 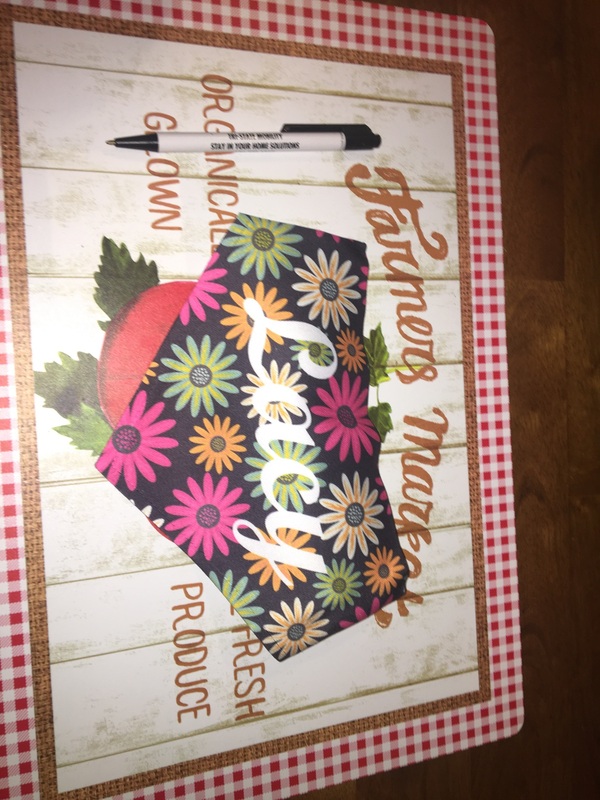 Get a Christmas design on one side and a 4th of July design on the other. Go into our design center to choose from thousands of patterns, graphics, and other elements. If you ever need help in our design center, be sure to contact us to get some guidance. If you loved this product you might be interested in the rest of our Pet Accessories department. There are some adorable pet tags and food bowls that your four legged friend just has to have. 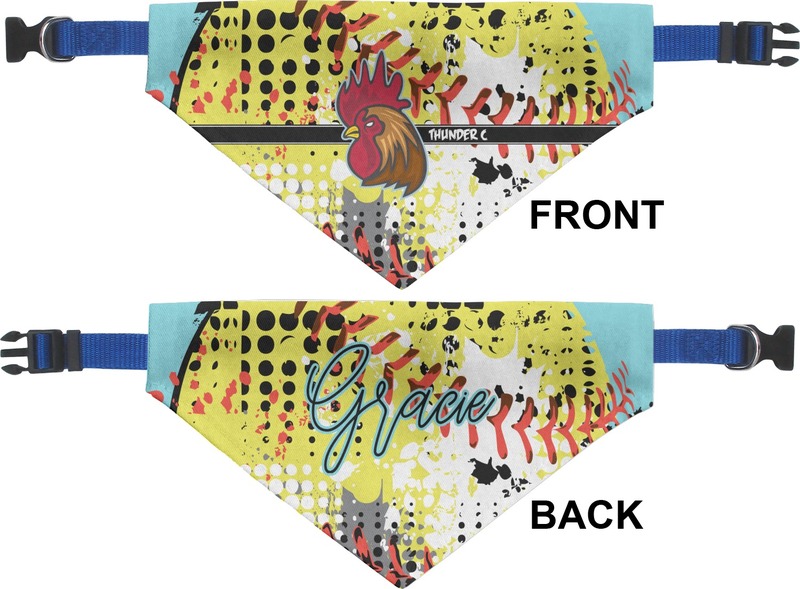 Extremely satisfied with personalized bandana for son’s softball team. Quick shipment. Think I will need to order 2 more for other team pups! Didn’t realize I got a collar too! What a great deal! I would have preferred the option of no collar. Putting a cheap bright blue collar on a really cute bandana is a waste. At the very least let me pick the color of the collar. I ended up ordering 4 bandanas and threw 4 blue collars in the trash. Thank you for the adorable boho doggie bandana! It's perfect! Also thanks for speedy shipment! Appreciated! The quality is good , Bandana is very much smaller then expected though . They called almost immediately to help me correct a mistake I made on my order. Service was quick for a customized item and I love it.